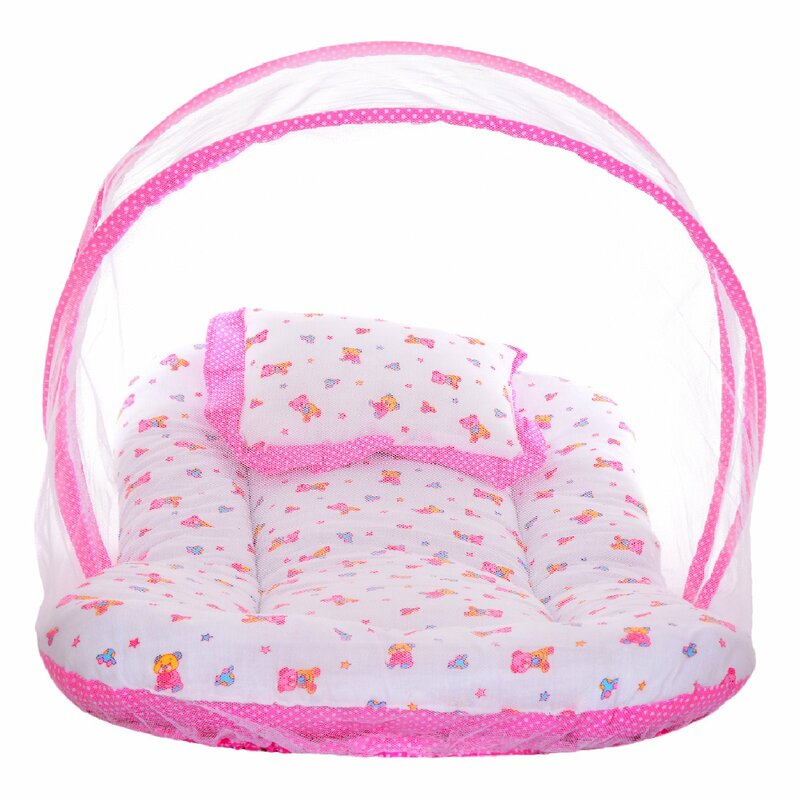 Littly presents this designer bedding set with mosquito net which is especially crafted for your little babies. Made from supreme quality of cotton material, this bedding set with mosquito net provides your baby all night protection and comfort from mosquitoes. Beautifully designed bedding set is crafted to lend your little baby soft and comfortable sleep. Highly durable, this bedding set is a must have in your baby care kit. This bedding set can be placed on the floor or cot bed to make sure your baby sleeps comfortably. Note: Actual product may slightly vary in terms of color and design and will be shipped accordingly.